Some folks believe that the most exciting two minutes (or thereabouts) in sports is the time it takes to run a meaningful horse race. Naturally that is because things can happen so quickly, but within that short period there is an awful lot of drama that can transpire. And while there are some races that having much larger purses than others, theoretically any race on which you have a considerable bet is going to be meaningful. There was a time when if you wanted to make a bet at a racetrack, you actually had to GO to that racetrack. Or, you could call up a private bookmaker that might have dealt in such things. Then, as the phenomenon of “simulcasting” began to spread, horse bettors could go to an OTB (Off-Track Betting) facility or to a racetrack that would carry the different tracks on real-time video feed and accept bets on those races. But it has since become even more convenient than that. 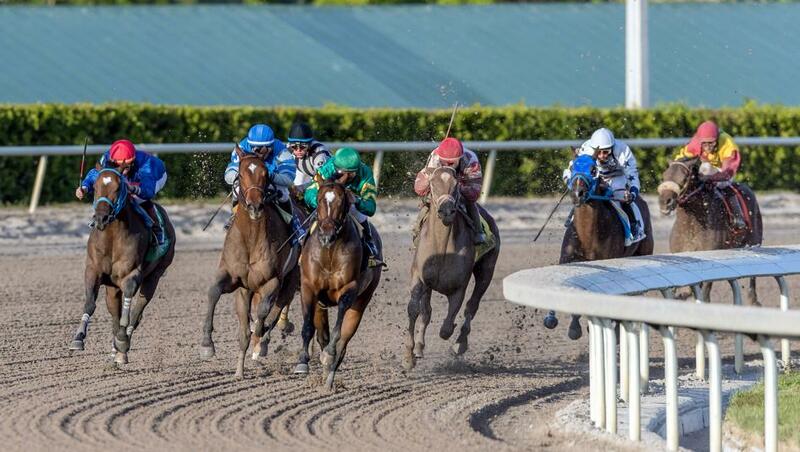 These days, betting on horse races can be done at either a racebook or a sportsbook, and there are most certainly some things you can bet in the sportsbook at America’s Bookie that you can’t at the racetrack. It can make for a more interesting experience when it comes to the major events, which are, generally speaking, the Triple Crown races and the Breeders Cup. In the racebook, the action is hot and heavy on a daily basis, and offers anything you can bet at a racetrack on a given visit. It is tough to be a long-term winner at horse racing betting, but when you take a look at all of the options that are involved, there is every opportunity to cash in big. Is it a difficult thing to get your arms around, so to speak? Well, the best way to describe it is that betting on the races is about complicated as you want it to be. When you are placing wagers in the racebook or the sportsbook, you have your choice of tracks; at America’s Bookie, you can take your pick from all of the major tracks that are, at the time, running. There are certain rudimentary procedures that people must be aware of when it comes to placing these kinds of wagers. One of them is to find the track you’re looking for in the left-hand column of the racebook menu. Then you have to pick out the race you want to bet. You’ll see the “post time” (i.e., the approximate starting time) next to each race listed, and on the interface will also be the “MTP,” which designates the “minutes to Post.” And then you follow along with the layout, which includes getting the chance to mark the available check boxes with the horses you wish to put into your wager. There are a number of options available within the racebook itself: you can “Win/Place/Show” betting, or select an “exotic” bet, such as a Quinella, Exacta, Superfecta, Daily Double, Pick 3 or Pick 6. In any given race, you can do a “box,” which includes a number of horses that can be considered for any single exotic wager, or execute a “key” or a “wheel” bet. There are so many different ways you can go that it can become dizzying.